On the 3rd of July 2017, on International Plastic Bag Free Day, we spotted the Plastic Bag Monster again but this time is one of the most touristic place in Montenegro: the Boka Bay. Is that the vision we want to give to visitors coming in our country? Before Zero Waste Montenegro was established as an NGO, together with Green Home we organized on the 3rd of July 2015 the International Plastic Bag Free Day in Podgorica to raise awareness of the damages caused by single-use plastic bags in the environment, and encourage the population to refuse single-use plastic bags and use reusable ones. 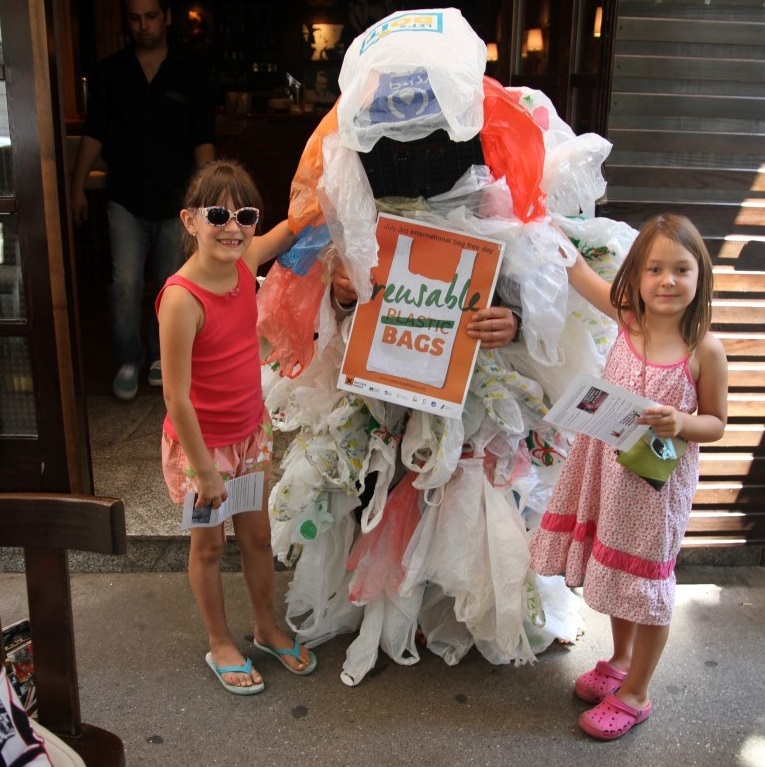 A plastic bag monster was walking through the streets of Podgorica while a team of approximately 15 volunteers were interacting with the citizen and distributing some flyers to explain the impacts of plastic bags on the environment and the benefits of using reusable bags for shopping. The event was well received by the citizen and also well covered by the local press (click on the links below for access to articles and interviews).